This school year, Grace Williams had a goal of overcoming her shyness and thought the best way to do that would be running for a state office in Beta Club. With the help of her teachers and classmates, she was elected president, and will go on to compete for the national office this summer. “I usually don’t speak to people I don’t know. This year, I really wanted to branch out and force myself out of that bubble,” she said. Grace, 17, is a junior at Morrilton High School. She is a daughter of Sheila and Timothy Williams. She has two older siblings, Ayana and Isaiah. Attending school in Morrilton was a different experience for Grace and she is very happy the family made the move. “The people here in Morrilton are better than those I met in other cities I was in,” she said, explaining that students are community-minded and supportive of one another instead of being competitive. As a freshman, Grace became involved with student council. She is serving her second year as president. In addition, she is a starter on the school soccer team. 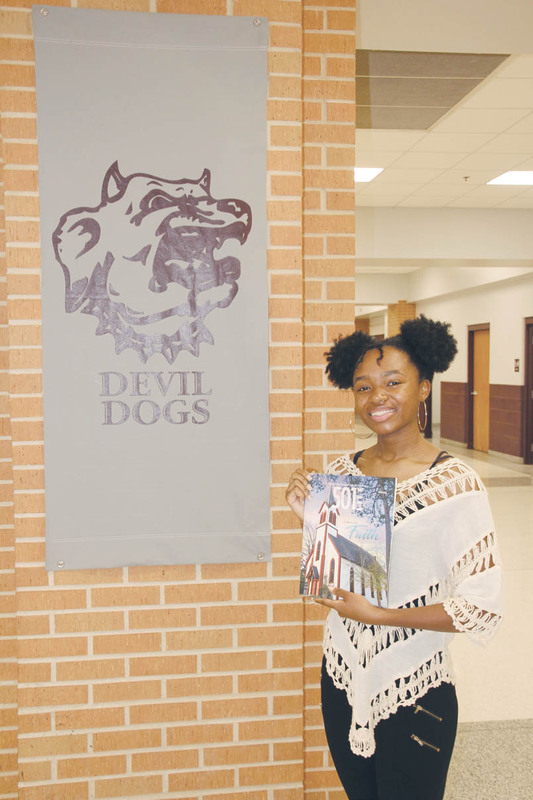 Each year, at the Beta Club state convention in Hot Springs, there are a variety of competitions for students, including art which Grace has enjoyed. Students can also seek state offices. Running for state office involved preparing a speech, a one-minute campaign skit and a question and answer session. Her campaign workers wore tie-dye T-shirts which Grace helped design, that reflected the theme “Amazing Grace.” (To see the skit, which was the runner-up in that competition, visit the Morrilton High School Beta Club page on Facebook). Grace is very appreciative of the students involved in the campaign, including her campaign manager Lamar Williams, and her teachers, Patricia Hopkins and Brad Parks. This summer, Grace will travel to Oklahoma City for the national convention and will run for the office of national president, which is currently held by Drake Toll at Vilonia High School. Grace, who has attended the national convention four times, said it would be “pretty cool” if for the second year in a row that the national president came from Arkansas. When her name was announced as the winner, Grace had “contrasting emotions.” She was happy to win but also felt for the other candidates whom she had bonded with it. There were five candidates for president, nine for vice president and five for secretary. “That’s the down side of it. Only one out of a lot of good candidates actually gets elected,” she said. Grace describes her campaign as a miracle story. She said there were a lot of challenges to overcome before the election, including the need to rehearse the skit with students replacing others who could not attend. She also had trouble with her speech, which she finished at 4 a.m. the day of the election. Tired and stressed, Grace found a secluded place to look at the Bible app on her phone, read Scripture, pray and put the campaign in God’s hands. “Faith is a big part of my life,” she said. “In that moment, it just clicked. I just felt this sudden confidence.” Her family attends Mount Pisgah Baptist Church at Springfield, where her mom is an associate pastor.